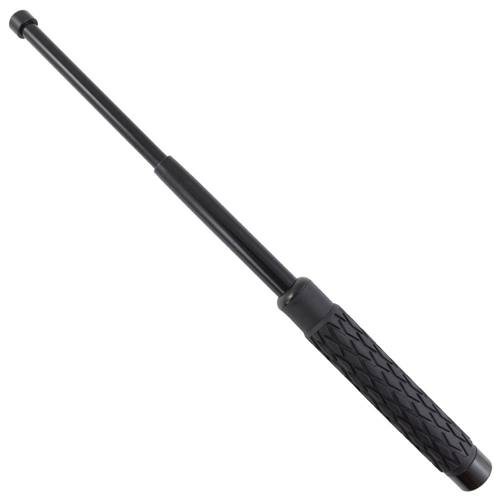 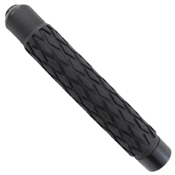 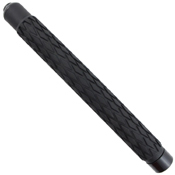 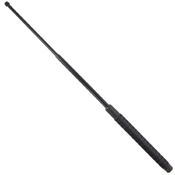 The Gear Stock Expandable Baton is a nimble and reliable self-defense tool. The black stainless steel shaft has 3 collapsible segments with a solid rounded tip to maximize striking power. The handle has a textured rubber cover that provides a rigid grip. 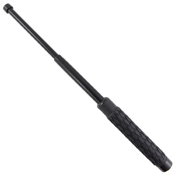 The baton expands easily with a single swing and locks into place firmly with friction locks. 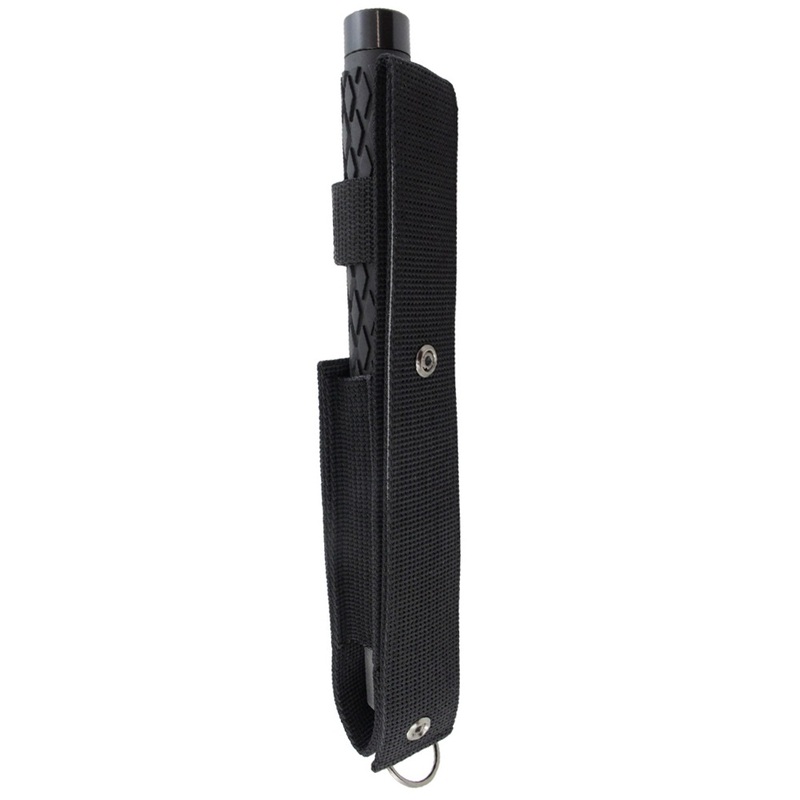 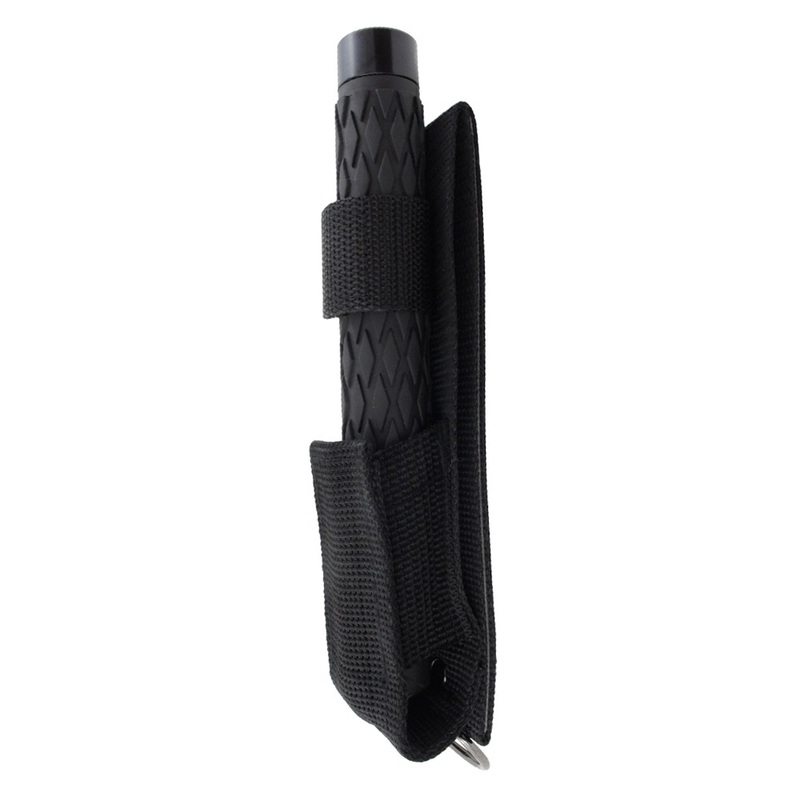 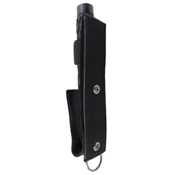 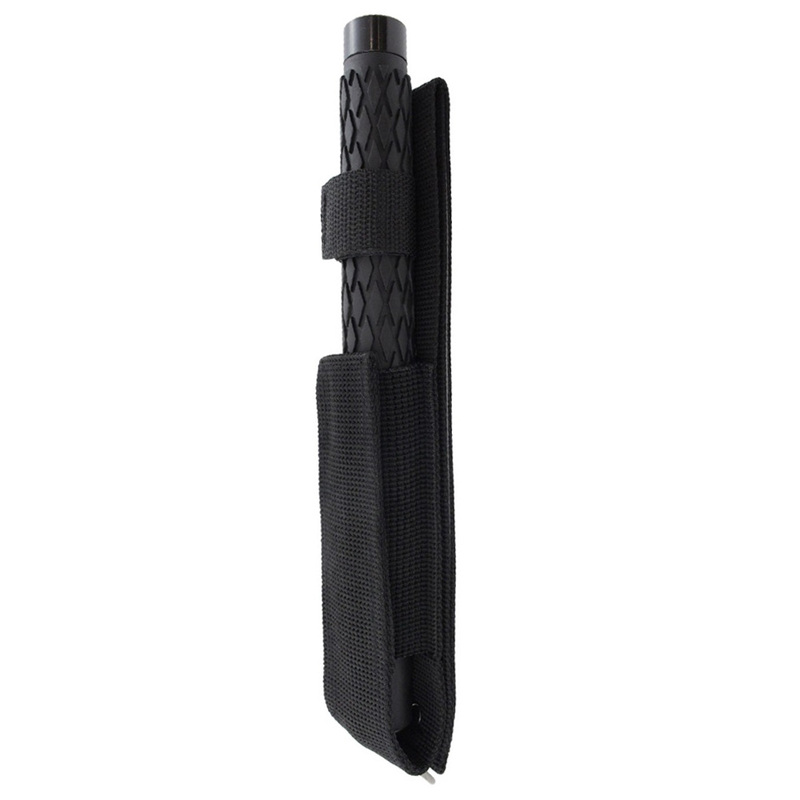 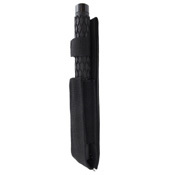 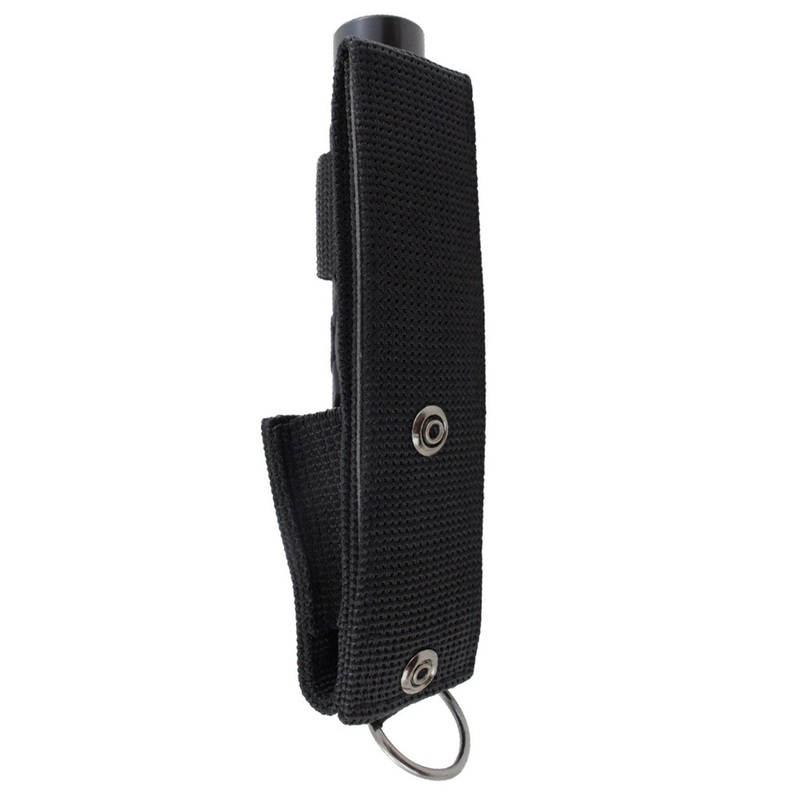 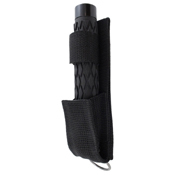 A heavy-duty nylon sheath is included for convenient belt and bag carry.